Hope you all had a wonderful Thanksgiving and that your refrigerators are busting at the seams with leftovers. I’d say after the 2nd or 3rd reheat, things start to get boring. Not with this best leftover turkey casserole. I actually made it for the first time last year and it was an instant hit. The clever recipe includes the secret ingredient that makes it extra moist and tasty. 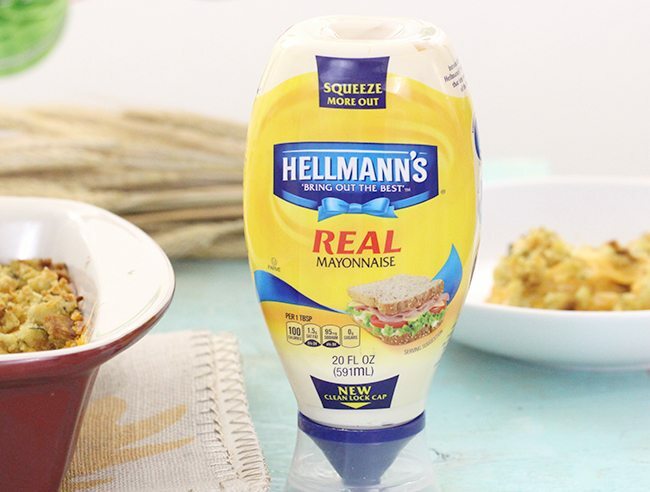 That unexpected ingredient is none other than Hellmann’s Real Mayonnaise! This is a sponsored post about Loving Your Leftovers, all opinions are my own. This recipe calls for all of the classic dishes that are served up over the holidays. Leftover turkey, stuffing, mashed potatoes and cranberry sauce. Then, the addition of Hellmann’s Real Mayonnaise and little cheese really takes this over the top. Last year, I made this recipe with mashed potatoes as the recipe suggests. This year, I made a twist and used mashed sweet potatoes. Oh my! Both just turned out perfect! So whether you have a 10 lb pile of either mashed potato, you can definitely use it up here. You might even want to call up some more company to come over and enjoy this with you. I recommend making 2 or 3 because it will be gobbled up quickly! Albertsons/Safeway understands you spend a lot of time and money preparing for wonderful Thanksgiving meals, and that it’s important to make the most of every meal. Keep an eye on great deals on Hellmann’s / Best Foods at your local store! Now, let’s dig in! Preheat oven to 375°. Spray 8-inch baking dish with no-stick cooking spray. 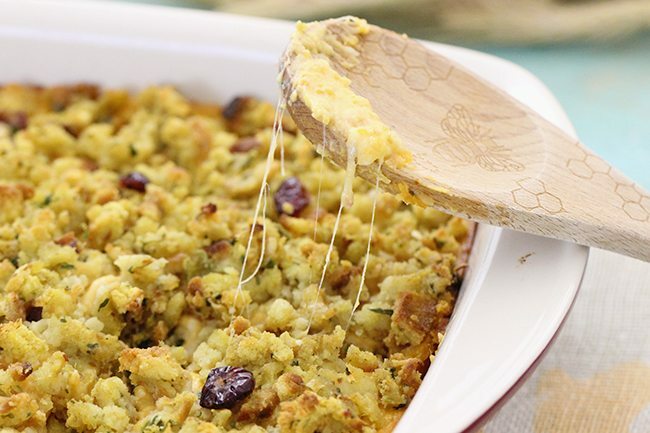 Spoon in 2 cups stuffing, then top with turkey. 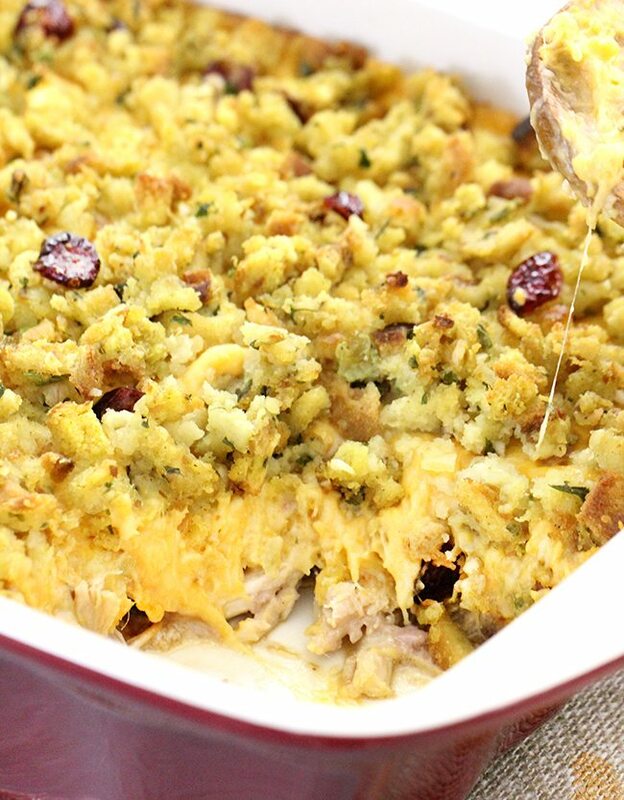 Combine 1/4 cup Hellmann's® or Best Foods® Real Mayonnaise with cranberry sauce; evenly spread over turkey. Combine remaining 1/2 cup Mayonnaise, potatoes and cheese in large bowl. Evenly spread on turkey, then top with remaining 2 cups stuffing. Bake 40 minutes or until heated through. Let stand 10 minutes before serving. Garnish, if desired, with dried cranberries. Get this recipe on your table tonight! What do you usually do with leftover turkey? This looks so delicious, and easy to make! I will have to give it a whirl with our leftover turkey! The bad part about not hosting Thanksgiving is you don't get the leftovers. This looks yummy. 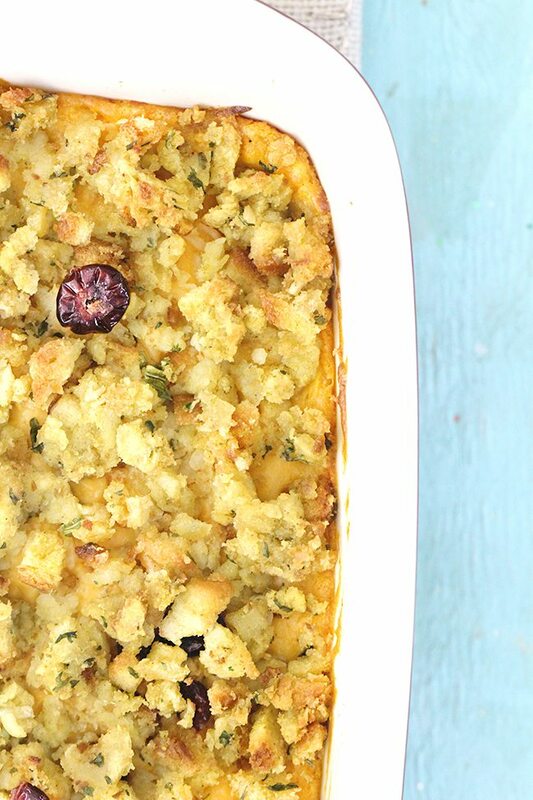 This odes look like the best leftover turkey casserole! I think I still have these in the fridge too - may have to give it a try and snap a pic! I'd like to see the photo if you do make it and take a picture! Fun! YUM! Great idea for the leftovers! I will try and make this tomorrow. THANKS! Glad you like the idea. I hope you get a chance to try this recipe because it really is yummy! I will have to keep this in mind for next week. We're actually doing our family turkey dinner tomorrow as we went to a friend's house yesterday. Definitely keep it in mind if you end up with leftovers. I bet your family will love it! What a great recipe. I can't wait to try my leftovers in this way! Thanks for the sweeps heads up too!